Advanced Collision Repair is locally owned and operated. All of our work is guaranteed and comes with a warranty for as long as you own your vehicle. We are skilled in replacement of all automotive glass, including windshields, back glass, quarter glass, and door glass. We also do rock chip repairs. At Advanced Collision Repair we have the capability to work with all insurance companies and are set up to complete direct billing with insurance claims. 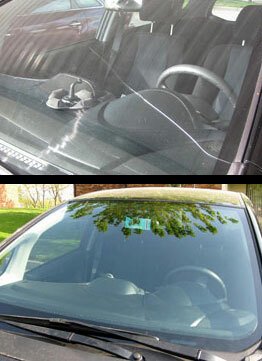 If you need a windshield replaced or repaired, come down for a free estimate today.